2 days ago we arrived in Sotavento again after we had a great week on Gran Canaria. I finished in 32nd position at Pozo Izquierdo. The result does not make me happy, but I felt much better than the result looks like. It was the first time I could speed up in the heavy chop. 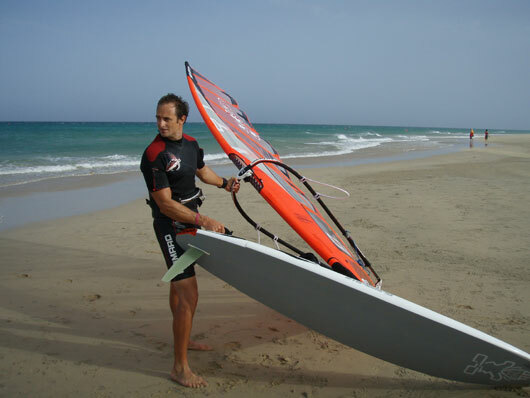 In the PWA Slalom overall ranking I dropped from the 19th to the 24thÂ position. Here at Sotavento the windmachine is on for days. I had some overpower sessions on 86 and 6,2, but estimate that the wind will drop a bit while the next days. You canÂ´t belive how strong the gusts were, which arrived from the sandy hills. Within 3 days the registration for the this yearÂ´s slalom showdown will be. I really expect to get some solid races done. I really have to try to start more accurate and get a good first jibe done. 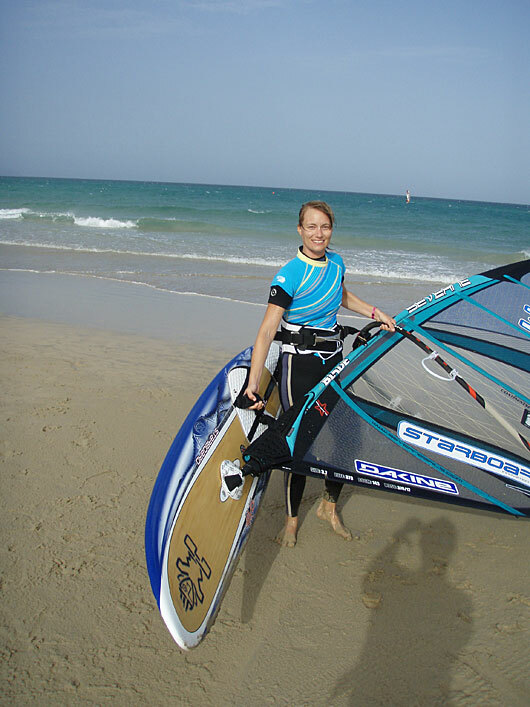 Kerstin had a nice session on EVO 70 and BLADE 3,7. It was super fun sailing at Sotavento again.